(@CamillaCleese), then you're familiar with the feeling of being the third most attractive person in the room. But I wasn’t in that room to talk to them about their stunning good looks. I was there to talk to them about the relationship between comics and crowds. 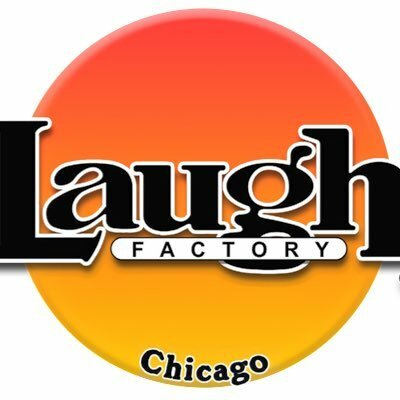 Sitting in a noisy office above Laugh Factory Chicago, the three of us recorded a podcast in which we discussed everything from what makes the perfect crowd to the worst experiences they've ever had on stage. 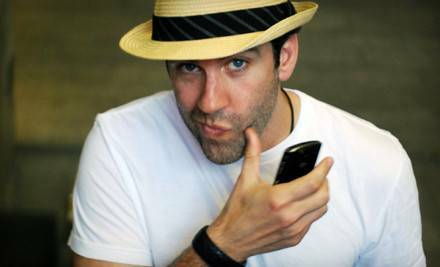 Mike Young, who you might have seen on The Late Late Show or Last Call with Carson Daly, was headlining a weekend of shows Valentine’s Day weekend. Right before he took the stage for the last time, I invited him to join me for a podcast. 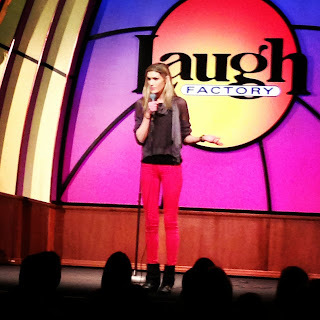 As we met and began to set up, he asked Camilla Cleese, LA comic who was doing a guest spot that night (and also happens to be the daughter of Monty Python alum John Cleese) to join us. We dove into the battle between the comic and crowd. I had been thinking a lot lately about the bizarre symbiotic relationship that develops, and how intricate and complicated it must be for a comic to get into a comfortable groove with each new crowd. But all that intricacy and conjecture was put to bed when Mike answered my first question: “How quickly do you know if an audience is with you?” with a very emphatic, “within 3 seconds.” A light bulb went off in my head. Of course it happens in 3 seconds. Whether you are interviewing for a job, deciding that you don’t want to sleep with me at bar, or performing stand-up comedy, humans judge each other instantaneously. It’s a thought process like that that shows off his 15 years of experience. He has clear, thought-out opinions on everything from club owner Jamie Masada’s philosophy “The audience is never wrong” to whether or not clubs should have more shows that segment comics by their acts. “You mean like, “Come on out for Jew Night!” he jokes. 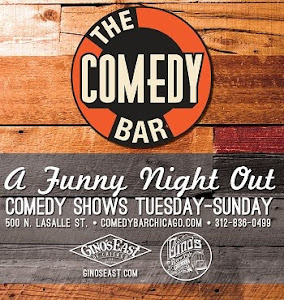 While theme shows can be amazing, (like Laugh Factoría- which you can catch the 3rd Wednesday of every month at Laugh Factory Chicago!) clubs that exclusively run theme shows can pigeonhole comics and make it difficult for young comics to find their voice. It is shows that give audiences a wide variety of humor (like the one that brought both Camilla and Mike to the stage that night) that show all of what stand-up comedy has to offer. The line-up of comics is important because while a single comic has a relationship with an entire audience, each audience member has a relationship with all of the comics performing. A good club (like one that features multiple showcases of Chicago’s best standup comedians on a nightly basis) nurtures that relationship. Every comic and every audience member has a new and unique feeling towards their counterpart. Just like any random human interaction, there is no way to prepare or quantify what will happen when two people meet face-to-face. The comic just has to go do his or her job and hope that it is well-received. Or as Mike put it, “You just gotta do you.” In a world where most interaction takes place between people and screens, it’s nice that there is still that face-to-face, very human and real interaction happening every night at comedy clubs around the country. Even if the audience isn’t speaking, their laughs, applause, and expressions make every set a unique experience. Which audience do you want to be a part of? Our conversation continued with Mike telling a story that ends with “I still Google Earth his house” and Camilla shared her worst experience on stage (It involved John Cleese, New Zealand and suicide). To hear these stories as well as many other great moments, listen to the complete podcast by clicking HERE. And check out Mike Young when he returns to Laugh Factory May 15-17!